Your credit card details will be held securely by Woolley & Co so that future payments can be taken. We will always give you 7 days notice of any payment to be taken. Uncheck the box if you prefer us not to hold your credit card details for this purpose. Click the button below and you will be taken to securely enter your card details with our payment partner SagePay. Our Payment Service Provider is Sage Pay (formerly Protx) – the largest independent payment service provider (PSP) in the UK and Ireland. 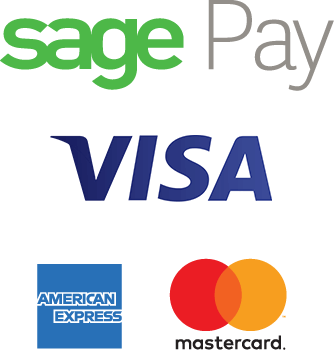 Sage Pay provides a secure payment gateway (Level 1 PCI DSS), processing payments for thousands of online businesses, including ours. It is Sage Pay's utmost priority to ensure that transaction data is handled in a safe and secure way. So when paying through our site, you can be sure that you are completely protected.